Hello my creative friends!!! Have you seen Stacy's Gift Card Holder Tutorial on Day 2 of our Power Poppy 12 Days of Christmas?!?!? If not, click HERE. It is so cute, easy, and is the perfect way to package a sweet little gift card. She inspired me to make mine, but I wanted to make a different shape. So instead of creating folds, I diecut an extra piece to make the pocket on the inside. I used Spellbinders' Labels 11 Grand dies for the of this gift card holder. I wanted to go a bit more graphic, so I used the rays of light from Power Poppy's Glitter House Village set. I stamped them with Versamark while the cardstock was still in the die, and embossed them with Silver Embossing Powder. 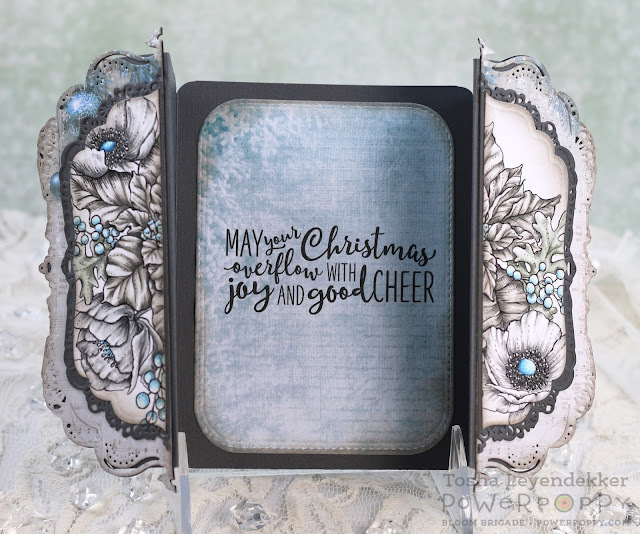 I then added some Silver Moondust Crystal Drops (Nuvo) to fill in the spaces. 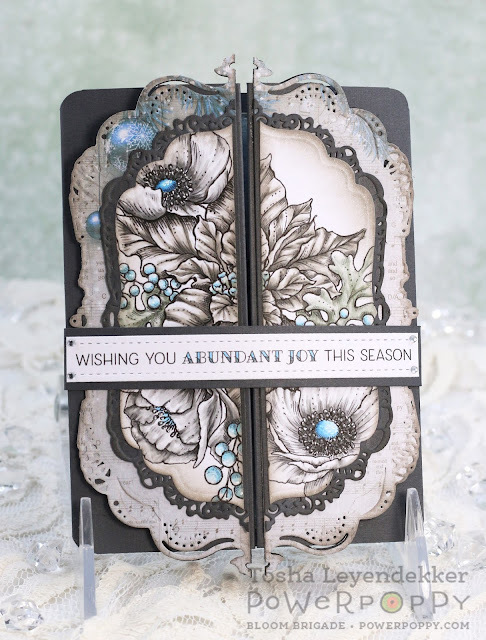 The sentiment was stamped with Onyx Black Versafine using my Misti for perfect placement. For the inside, I diecut another piece using the Grand 11 die diecut an oval, and then embossed it. 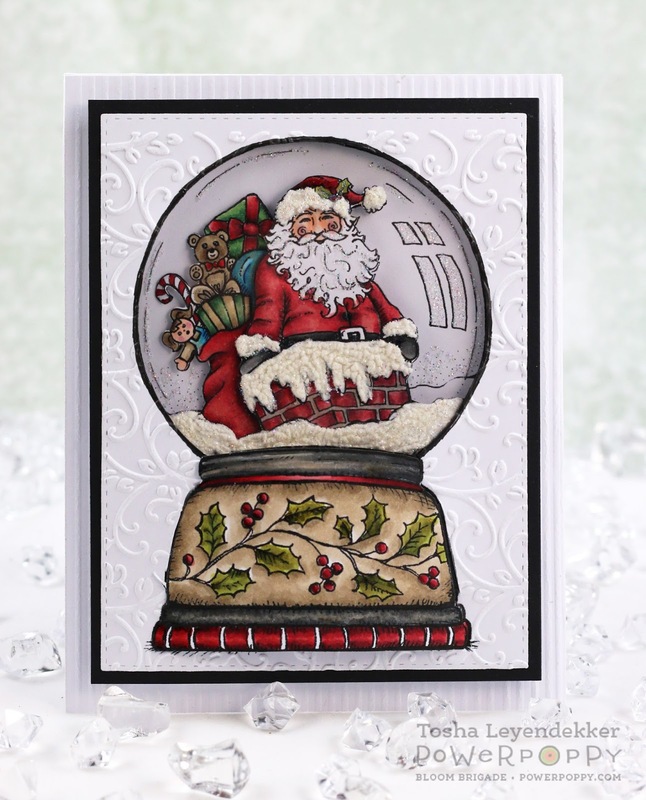 I then took some silver cardtock and diecut it also with the Grand Labels 11 die, laid the white diecut piece over it, lined up my oval so I could have a matted edge, and diecut it too. 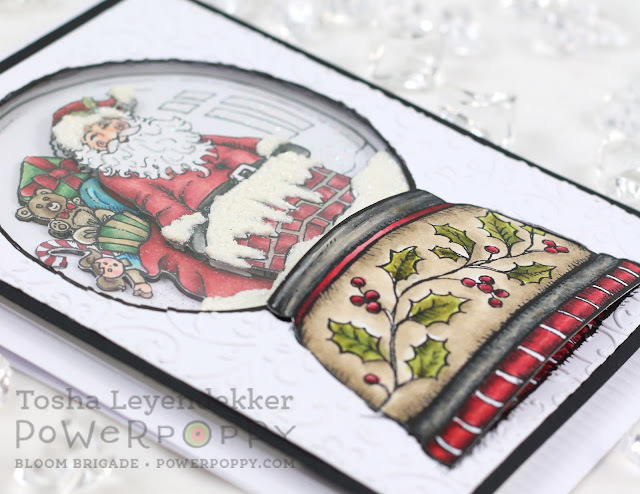 Lastly, I added a tag on the inside with a sentiment from one of last years Christmas sets called Simple Joys. 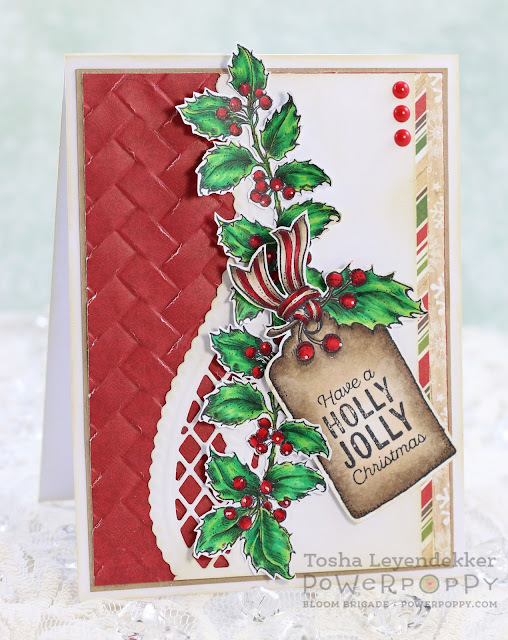 It fit perfectly in the Style Nouille Tag frame (Spellbinders). We'd love to see what you come up with after being inspired by a project from our Power Poppy 12 Days of Christmas. 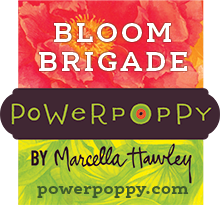 Just link your project HERE, and you will be entered to win a $50 Power Poppy Shopping Spree. Easy Peasy, and the prize is fantastic!! Thanks for stopping by. 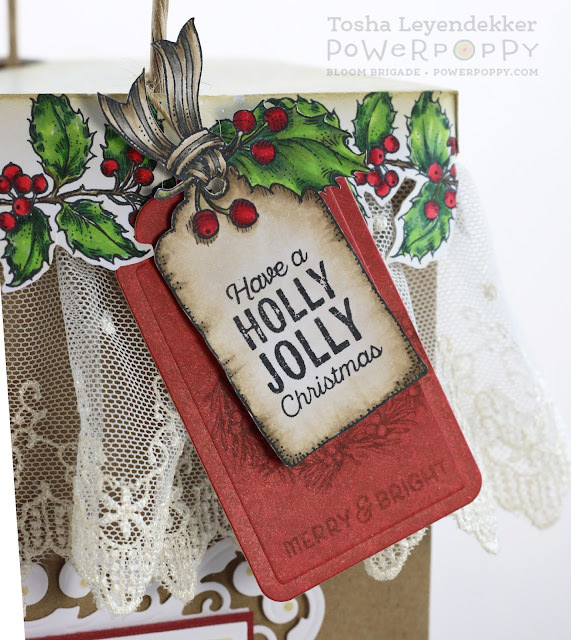 Be sure to check out what creative idea Cindy has in store for you on the Power Poppy Blog. And then, check out Julie and Stacy's blogs for some more Holiday inspiration!